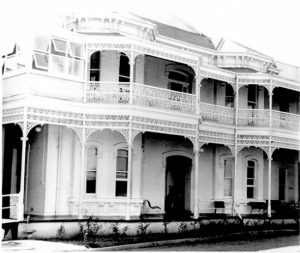 The Society has more than 30,000 indexed historic photos of all aspects of life in Ryde over the last 150 years. Copies of the photos may be purchased. We welcome donations of photos or the loan of photos for copying for our collection. This is a small selection of photos from the collection. 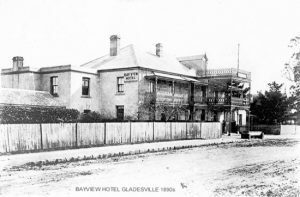 The Bayview Hotel, Gladesville 1890s The Bayview Hotel opened in 1879. It was almost opposite the rival Gladesville Hotel in The Great North Road (now Victoria Road). 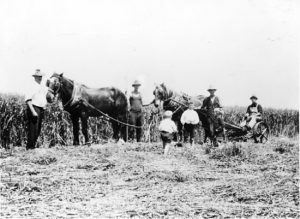 Bensonville c.1908 Loading hay at Bensonville, the property between Coxs Road and Twin Road (including today’s North Ryde golf course), owned by the Benson family. Edward Benson is on the right. Walter Chick (centre) outside his smithy in Rowe Street, Eastwood. c. 1910 With the subdivision of Edward Terry’s estate in 1905, Eastwood was about to become a significant commercial centre. To take advantage of this, Walter Chick moved his farrier and coach building business from Ermington to Rowe Street, Eastwood in 1906. 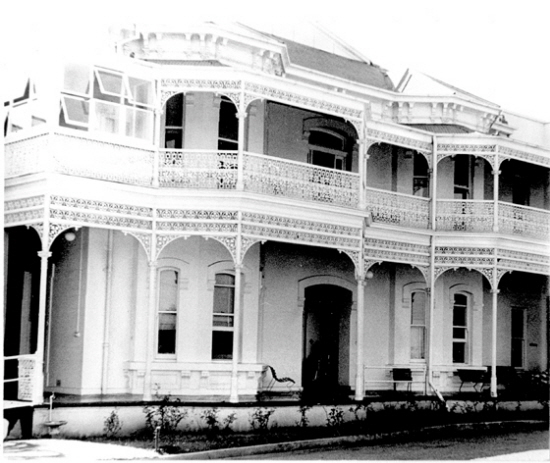 He later sold his business and opened a picture theatre on the corner of Railway Parade and Ethel Street Eastwood. 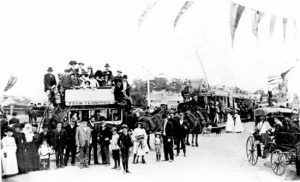 The last horse-drawn bus and the first electric tram On 12 June 1910 a new tram line from the previous tram terminus at Drummoyne to Hatton’s Flat at Ryde was opened. This route was previously serviced by horse-drawn buses. A monument opposite the corner of Lane Cove Road and Tucker Street now marks the site of the new tram terminus. On land acquired from John Small, the building was commenced in 1826 as a chapel schoolhouse in which church services were also held. The tower and chancel were added in 1861-2. 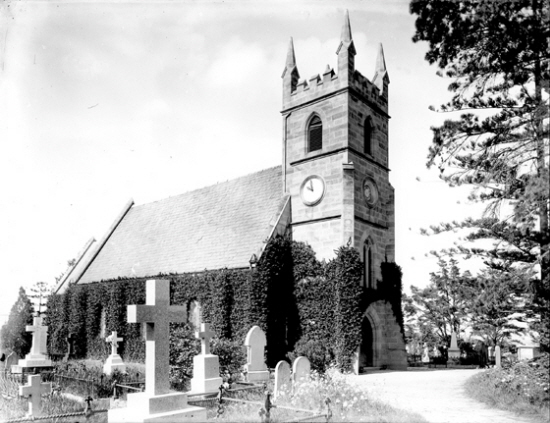 Many of Ryde’s pioneers were buried in the churchyard. 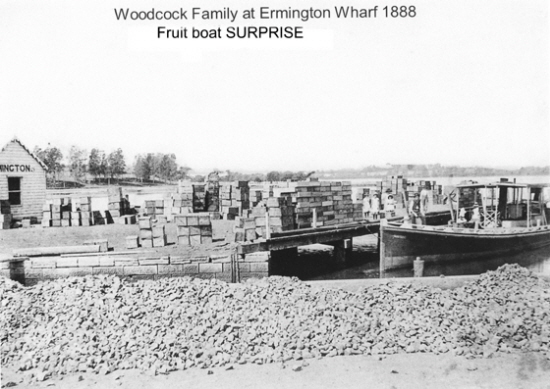 The Woodcock family at Ermington Wharf 1888. The fruit boat Surprise. The Ryde area was orchard country from the earliest pioneer days. The fruit was transported to Sydney via the Parramatta River. 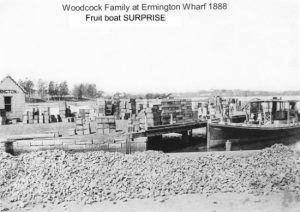 The Woodcock family owned a number of fruit boats. The fruit boat Surprise is at the wharf. Fruit boxes can be seen stacked on the wharf. In the foreground is blue metal from the Pennant Hills quarries waiting to be shipped to Sydney for road building. The Khartoum Theatre. 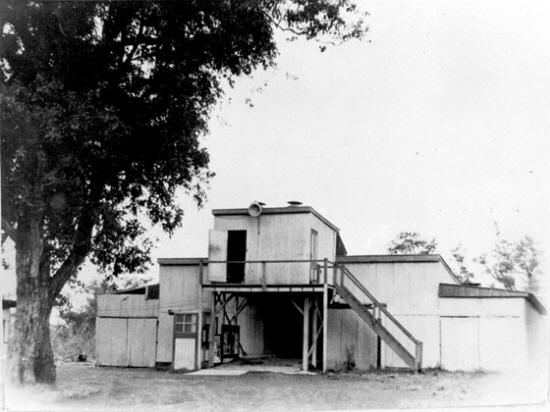 The entrance, ticket box and projection booth of the popular Khartoum open air picture theatre in an orchard in Khartoum Road, North Ryde. The theatre opened in 1938 and closed down in 1966.